We have decided on the Cloncurry design with Simonds. Good progress Tribe!! Definitely churning along now! What size shed did you go with? Scyon Linea Board - 150 or 180mm? No one answered this topic back in 2012....but I have exactly the same question. The Crossing (at Colleges) are mostly half acres. We are keen for an asphalt driveway on a new build we are hoping to commence soon (with concrete edging). Meeting went well! James explained everything really well and is preparing a preliminary tender just to get the ball rolling. Sparrow, here is a close up of our kitchen splashback if that helps (seeing the grout). 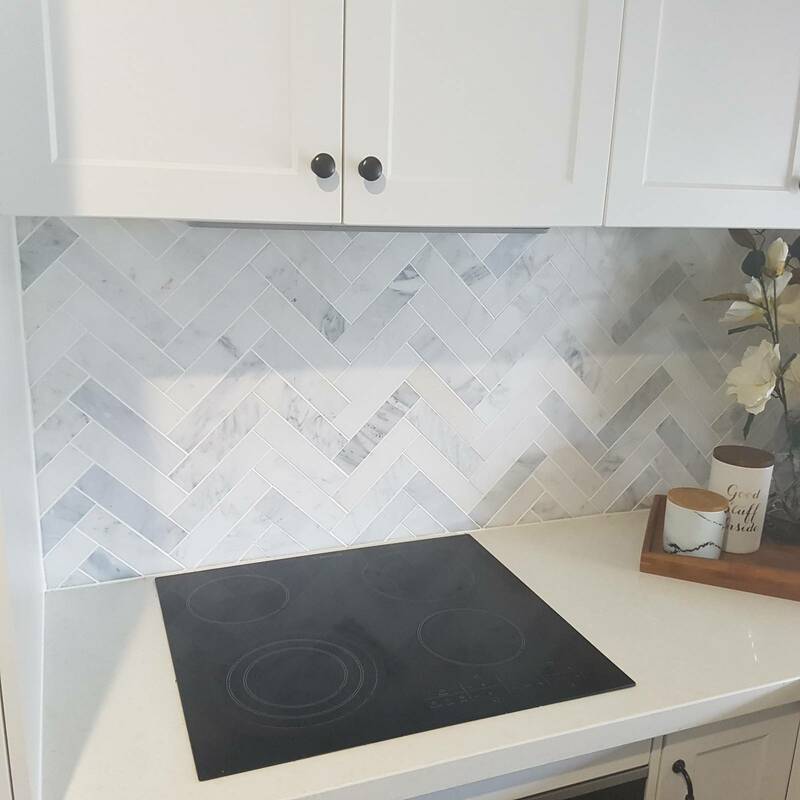 Herringbone is a great layout for splashbacks and tiling. Wow $1400 is so worth it. That is going to look amazing in your house. We have a marble splashback in our current house in the kitchen (in a herringbone formation). I've never had tank water. Really looking forward to following your build Tribe 7. Did you go gas cooktop? I must admit Valeco seem to have some pretty good promotions. Are those Optima lights the one you can turn on and off with your phone? Not sure if you still get notifications from this thread? As per the topic title, we need to make a choice between these two. Which one should we go for and why?? 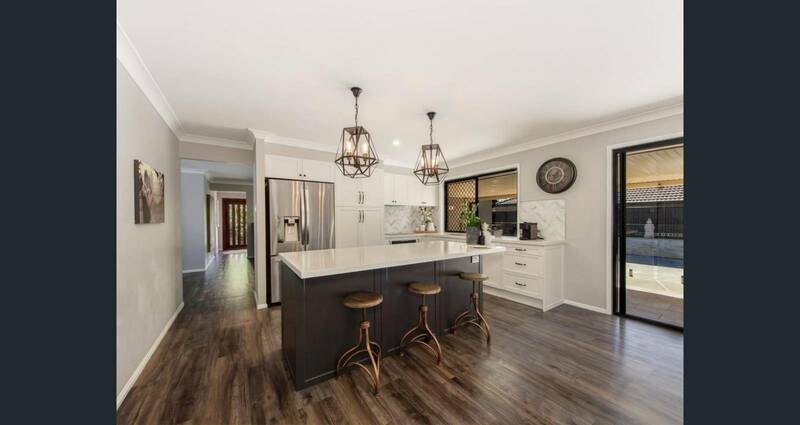 Rugged concreted benchtops look great though. Actually ignore last question....I saw a previous post from you stating it was around $5000.